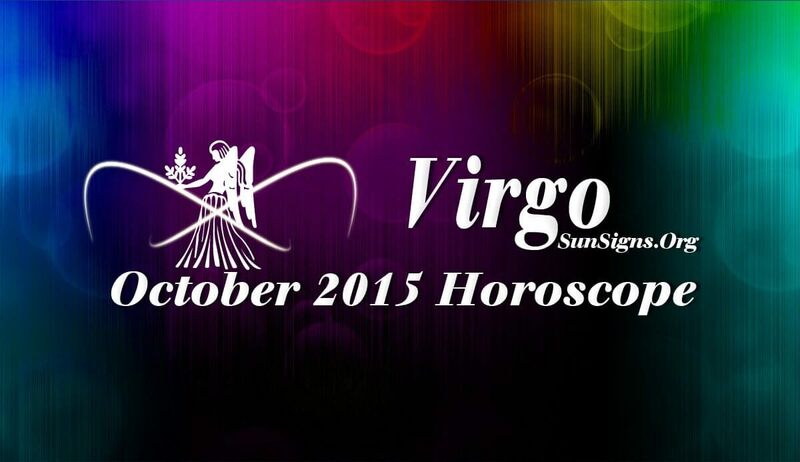 Virgo October 2015 Horoscope forecasts that family and your inner psyche dominate over career and money affairs. Professional issues can be put on the back burner for the present. Virgo, your independence and self-will will be important to achieve progress in life as majority of the planets in your birth chart are located in the Eastern sector. You are not dependent on others and you can make slow and steady improvement in your career. Professional life will be challenging this month in October 2015 for the Virgins. But it will bring happiness with completion of your targets. Your work will be recognized and you will be financially rewarded. Your leadership skills will be noticed by your superiors. Businessmen will prosper in new deals. October 2015 happens to be one of the happiest months in terms of finances for the Virgo zodiac sign. Earnings will come from marketing and trading after the first week. You will have enough money to pay off loans and invest in new ventures. The horoscope 2015 predictions show that your financial intelligence will cooperate with your plans. The October 2015 Virgo monthly astrology predictions forecast problems in marriages. Major decisions on matters of love can be taken after the 23rd. If you are in a serious relationship, there may be problems in maintaining the partnership. You might also have problems choosing between your best friend and your boyfriend. You might need to deal with a few pregnancy related issues this month. Health does not pose any serious problems this month for the Virgo. This can be improved further by maintaining a balance between career and family life. Slow down your speed at work and be patient. Here are a few excellent home remedies to manage high blood pressure.